Let’s be real: we all know that a gorgeous cover can compel you to read almost anything. And for me, there are certain elements that will always entice me to pick up a book. Anatomy of a Book Cover breaks down those elements! As a fan of Amanda Bouchet’s fantasy romance series the Kingmaker Chronicles, her upcoming sci-fi fantasy NIGHTCHASER is a must-read. Thankfully it also has a solid cover! 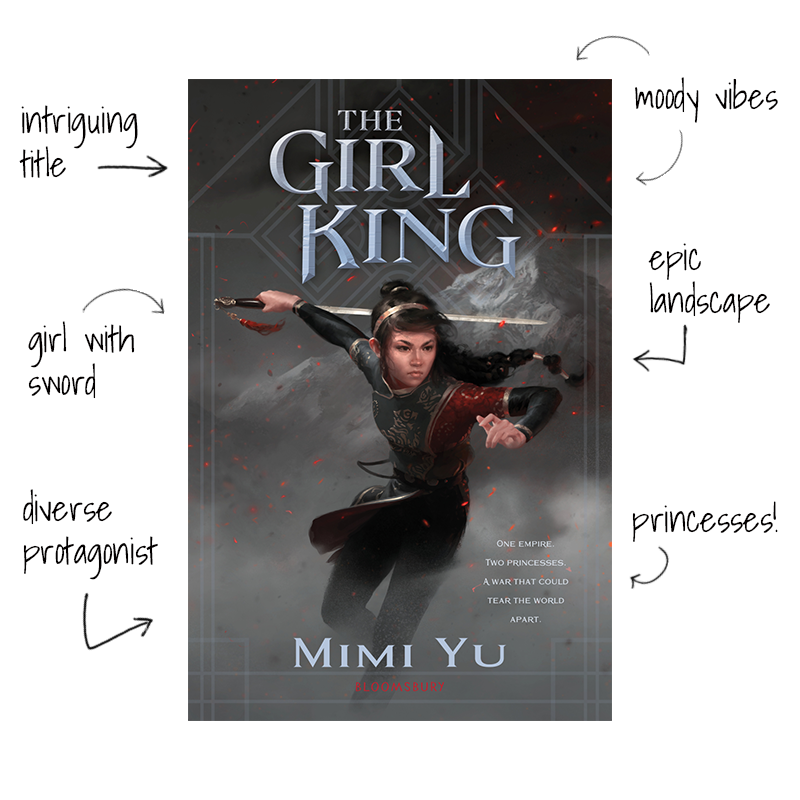 When I saw the cover for THE GIRL KING making the rounds on twitter, I knew I needed it in my life. YA fantasy has never looked so good! If we learned anything from Anatomy of a Book Cover: Vol. 1, it’s how much I love an illustrated cover featuring unconventional ladies and a cool-toned palette. 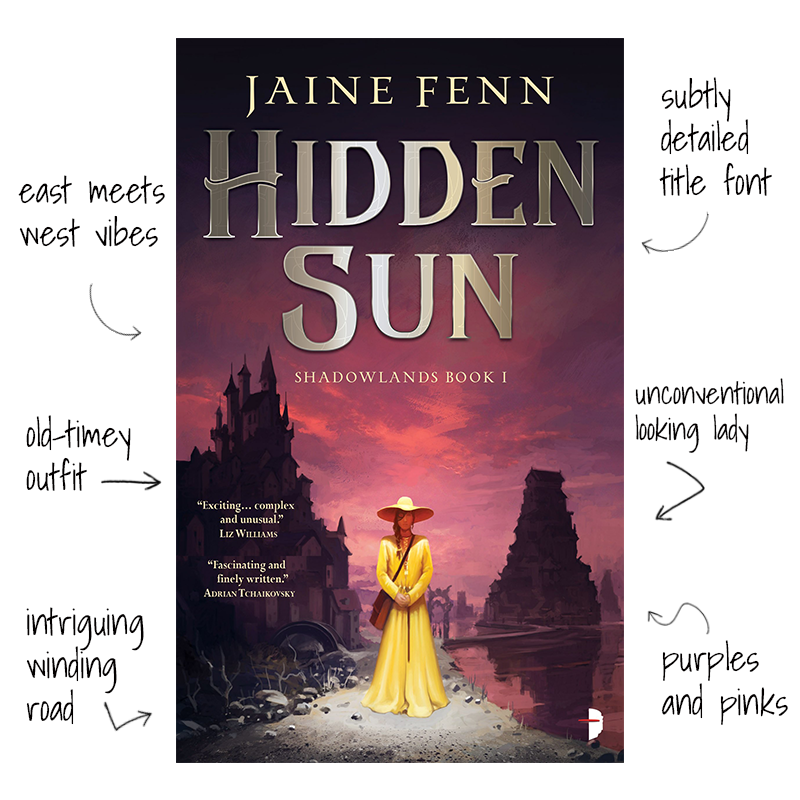 Enter the cover art for HIDDEN SUN. 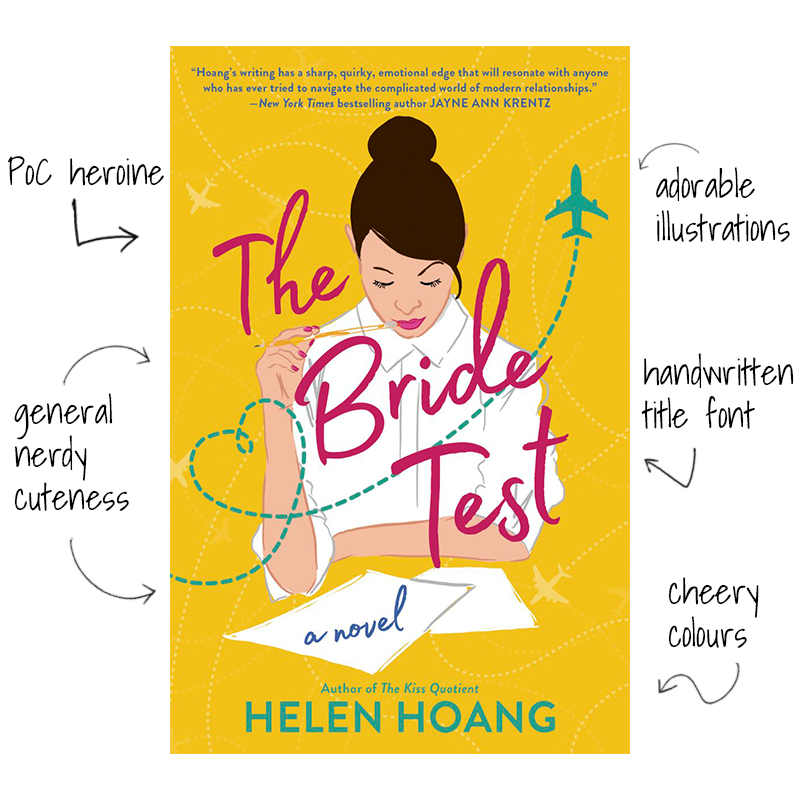 Helen Hoang’s debut swept me away earlier this year, so when THE BRIDE TEST was announced I had to have it. And as luck would have it, the cover is perfection…and it coordinates perfectly with the first book. What do you think of the covers I’ve rounded up here? Are there elements of a cover design that always pique your interest? Let me know in the comments! Nightchaser is a solid cover. Love your notes- “mysterious open airlock thingy”, “explosions” lol. She does look badass too! I really like The Girl King too. Keep on rolling YA fantasy! Is it me or are we getting some pretty good stuff lately? The other covers are also nice- i like the little airplane thing on The bride Test. Cute cover. TKQ will probably be my favorite romance this year, and I love the look of both Hoang’s covers. The tone and feel of them really fits the story of TKQ, and I am hoping for more of that with The Bride Test. All of these covers are SO beautiful and I love how the elements you pointed out gives us a feel of the story. 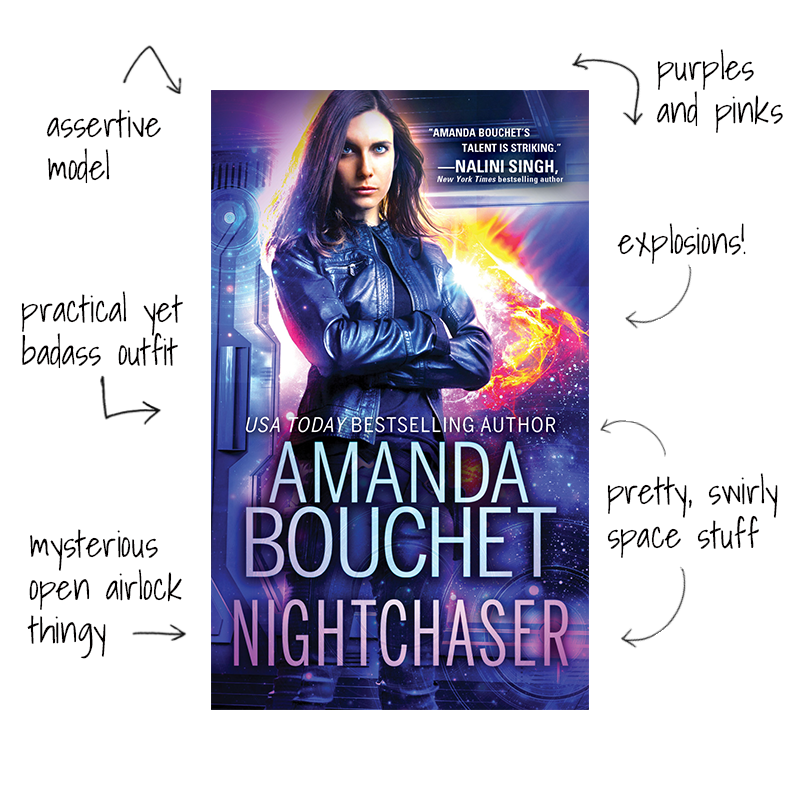 I can’t wait for the Amanda Bouchet book. And you know I’m dying for The Bride Test. And omg The Girl King! I love that cover and how badass it looks. I love the design for The Bride Test! And I want to love The Girl King’s design more. I think it’s the grey that’s turning me off. Great choices – I love the Bride Test cover the best. This post is fantastic! I adore The Bride Test’s cover – I love it a lot more when they include graphics and illustrations on a cover instead of a real life model. First time I’m hearing about the rest, but they all look SO GOOD. I love the cover of Hidden Sun and Girl King – the first one has lovely coloring (though I don’t like the yellow of the dress), while the latter looks so badass! Nightchaser didn’t catch my eye… until I looked at it closely and saw that Nalini Singh pitched it haha. Great choices! Once more with the cool looking book covers. The newest Amanda Bouchet cover doesn’t stand out too much for me, it looks good but I don’t like the cover model. It’s weird isn’t it? I do love the cover for The Girl King though. Badass with a sword? Count me in” And the fact there is a diverse protagonist being shown on the cover is even better. And the US cover for The Bride Test looks amazing! I hope the UK cover is just as cute but if the cover for The Kiss Quotient is anything to go by I may end up a little disappointed, we’ll see. I rally like The Girl King and The Bride Test covers. “mysterious open air lock thingy” made me giggle. I do love the cover of the Girl King and now I’m going to have to check it out, aren’t I!? Awesome pics and I feel like we go for similar things in book covers. I know I’m late to comment, but I love when you do these! I love when the women on covers are actually wearing practical clothing instead of being half naked to fight creatures and whatnot. The Girl King is my fave here though! I love how dynamic her pose is, and the whole thing is just awesome. And I love the color schemes for that one and Hidden Sun!